Training for me has always been a bit random. At the start of every year I’ll be like ‘right, let’s do this’, but I just end up falling back into old habits of doing what I feel like. Any form of structure goes out the window. I think the ‘structure’ might be the issue for me. I’m not a full-time professional athlete; I train and compete because I enjoy pushing myself. Therefore, life can sometimes get in the way of an idyllic training ‘structure’. So I’ve decided to try something a bit different. People may already do similar, or it may seem completely random, but I’m going to give it a go. I’m going to plan as I go along. See what works and what doesn’t. 1. Have a training calendar. It seems obvious but it’s not something I’ve ever had. I’ve got a comical calendar too. 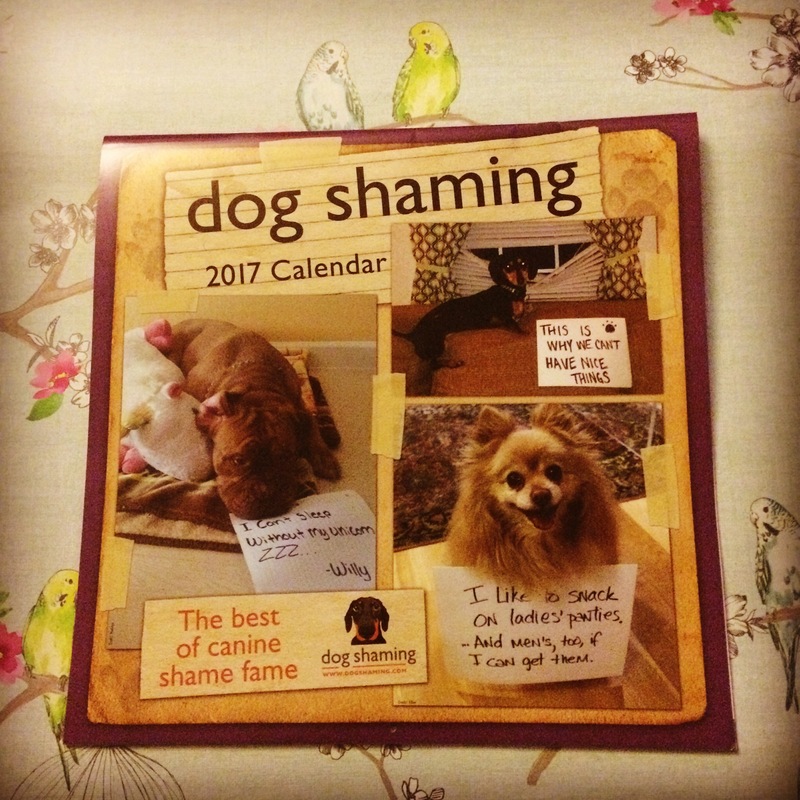 You’ll need something enticing to look at when you’re a few weeks in…..mine happens to have photographs of dogs who have been up to no good. 2. Look at any big events you have and decide what progress you want to make by then. Make note of these goals on each month. For January I’ve decided to work up to be able to swim 100 metres in the pool at a time. 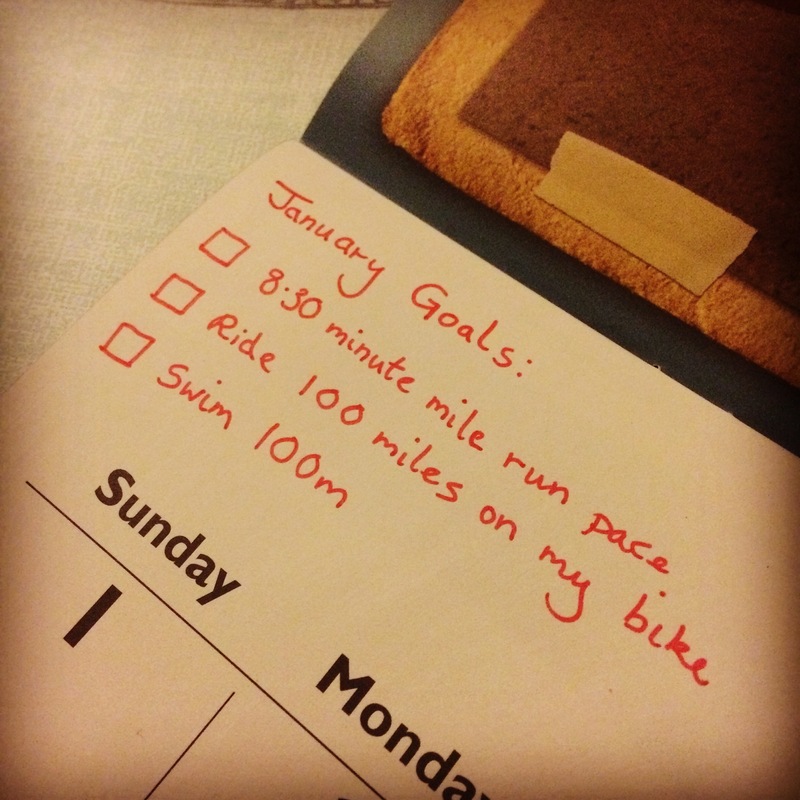 I also plan to cycle 100 miles (over the month that is!) and aim to run at a pace of 8 minutes and 30 seconds consistently. I’m not a strong swimmer so I’m building that up slowly. After seeing how little I’d cycled in 2016, I want to boost those numbers for 2017. For the runnning…during a handful of timed events I managed to get a 7 minutes 30 seconds pace, so it’s in there somewhere! I just need to make it more consistent. Following on from what I’ve just said, I’m taking baby steps to achieve my goals. This has always been a pitfall of mine. I’ve wanted to try and do everything at once. Trying to do that doesn’t help anyone. 4. As you go through the month, record what you’ve done. 5. Keep that Garmin charged! I am the worst for this. I use my Garmin watch everyday so it’s a common occurrence for me to let it go flat. I need to stop this for 2017. 6. At the end of each month assess what you’ve done and what to do next month. 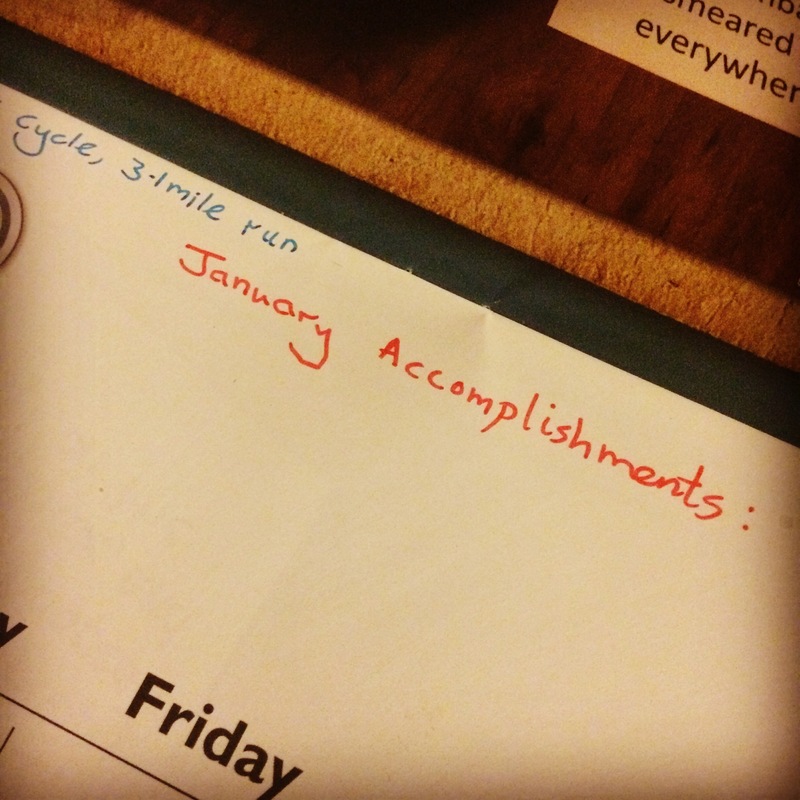 In the past I’ve planned out my whole year…flunked in month one and gone back to old habits. So this is a major change for me this year. It helps keep things manageable and keep those motivation levels high! 7. Keep the calendar somewhere you’re going to look at it a lot! 8. 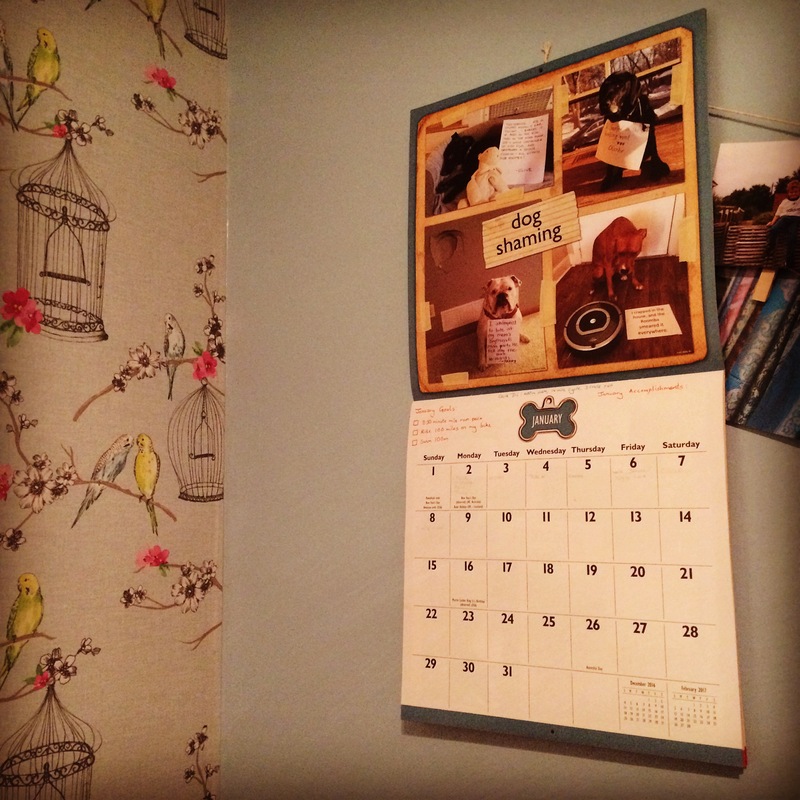 Have a mood board to give those motivation levels an extra boost when things get tough. Sometimes you wonder what are you actually doing, but a missed training session is no competition for the feeling of achieving your goals. Rest days are my worst enemy. I just get restless, but your body needs to recover to get better. This said, it’s also important to listen to your body. Don’t push yourself too hard and make yourself ill. Any race isn’t more important than your health. The last point on my list is one I MUST stick to. …. Yes!! This was a post that added a lot of value to me. I like to train but same as you, its not my profession. In between work i try and get myself working but the lack of structure just throws everything out of whack. Ill be weaving this into my routine and see if that helps. Ill be running a half marathon, or two, this year im hoping this system will keep me on track. 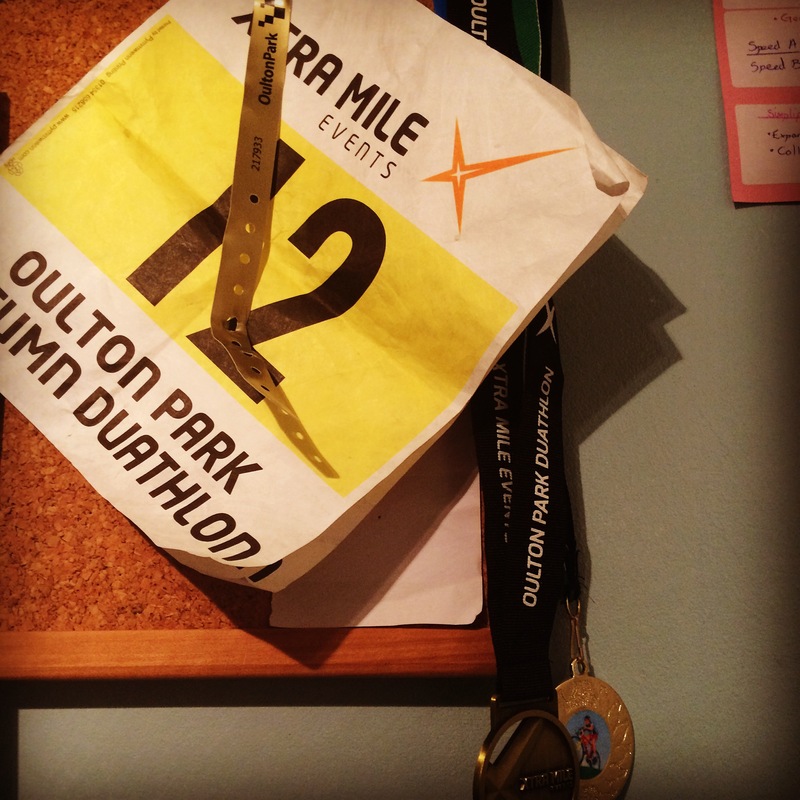 Good luck with that triatholon, I hope you keep us posted with it. That’s great you’ve found this post useful! My new job means time is tight to train. I’m finding this method is benefiting me already. It’s making an adaptable Training Plan I suppose you can still stick to. Good luck with your half marathon’s! I’m thinking of trying one after a Triathlon I am doing. Thanks, I hope the system continues to serve you well.